It shouldn't be hard to understand why there may be some depression in trucking. You are away from family. The family may be falling apart if the realities of trucking didn't register at first. Or, you may not have family and you don't really meet people out here if you are not outgoing and people oriented so you may be lonely because your old friends are not around to keep you company. 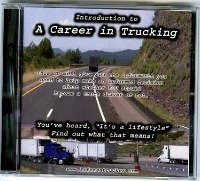 You may not be making as much money as you thought you were going to make as a truck driver. That could lead to serious depression if your family is back home depending on you to handle all the bills. Supposed you have a girl at home? Remember most women think all truckers are dogs or they have girlfriends that think that way. As soon as she can't get in touch with you, her girlfriends convince her that you have 3 women in 2 states besides her. She's got an attitude with you. Meanwhile, your not making the money you need because you have a bad dispatcher or a poor relationship with a good dispatcher. All this going on at once so it effects your attitude with both your girl and your dispatcher which makes matters worse with both. Your personality changes because you feel helpless. You become withdrawn because that feeling of helplessness naturally deteriorates your self esteem and sense of manhood. By now your girl is sure you are cheating so she starts cheating (Don't forget that she is spending a lot of your money in the process) you are no longer are able to reach her when do call. OOOOOOoooohh, now you see how you could end up becoming a victim of depression. Yes, it's very easy to end up depressed as a truck driver. However, now that you are so aware of it, all you have to do is be proactive and not fall into the traps that I have mentioned above. DO stay in communication with wifey. Do focus on having a good relationship with your dispatcher. Don't get involved with a partner if you are not already involved unless she or he is the right type of person (secure, positive, trust worthy, good self esteem, non-dependent). You get the idea. Also, apply the same proactive principles to other areas in your life whether trucking or not to help from getting from getting depressed. Do what you can to avoid things that can bring on situations which would cause depression. Also do what you can to prepare for or avoid emergencies. For instance, if your wife has a beat up clunker at home taking care of the kids, one thing you can do is get AAA road service or TVC driver plan. This way, if she breaks down on the side of the road she has someone definite to call to bring her in. That's one less problem to deal with and she also feels more secure knowing this is in place, not to mention the fact that you think enough of her to do this. Thats about $50 - $90 for a whole year of security from being stranded on the side of the road. 1. Listen to educational or motivational materials while your are driving instead of the CB or FM radio all the time. 3. Cut loose negative attachments. If there is someone at home always causing drama or someone that always takes, takes, takes, from the relationship, while you give, give, give they will cause stress, stress, stress, that because they don't care, care,care. Cut them loose or you'll easily become depressed, depressed, depressed. 4. 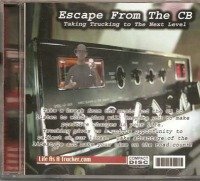 Force yourself to converse with other truckers in the truck stop. (After you finish driving for the day) You wouldn't believe what the conversations could evolve into. Get to know your road family man. You might get ideas or learn about new jobs or find out new places to stop and check out. I remember I pulled into Dallas talking about needing a haircut and end up with a local driver giving me the number to a barber that came to me. 5. Get you some exercise. Walk around the parking lot every morning and every evening. Do some sit ups and push ups when you finish walking and stretching. Exercise actually causes a physical release of chemicals in the body that fights stress, and depression. That's real! Some people use trucking as an excuse not to stay in shape. 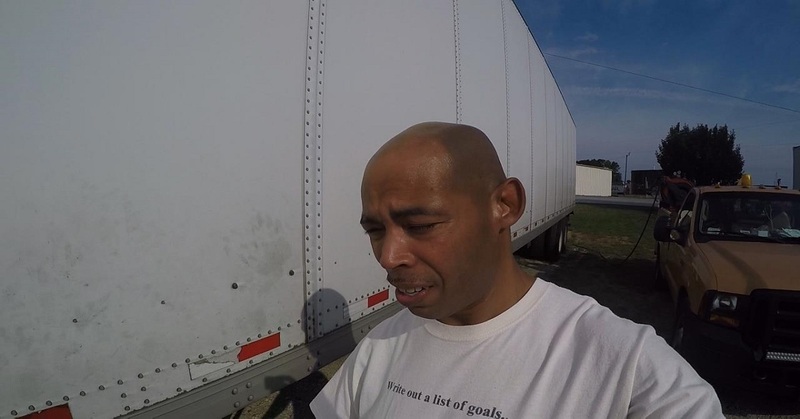 You can and should be a health conscious trucker mentally and physcially. 7. Speaking of diet. Eating a healthier diet will help with feelings of depression. 8. Getting the proper amount of sleep will also help with feelings of depression. Hey, if you are feeling depressed and you seriously try these things. You will notices some positive changes. It's mostly about your attitude and the way you view life. Remember life is not fair to anyone, its what you make out of it. Never feel like you are being targeted for bad things. Learn from things that happen to you bad and good. Also Never let someone else's words get you down. Be the best you that you can after that don't worry about it, just keep moving forward. If you treat people the right way, know that you are who you are supposed to be and not who others want you to be.